This will be the first-to-last giveaway, so make sure you get involved! If you would like your chance of winning either of these books, add your email address to the form below. You’ll be notified by email if you are the winner, and you will also be opting into a follow-up email to let you know when the next book in the giveaway becomes available. 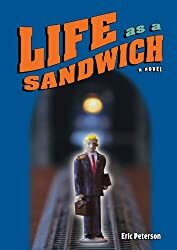 Protagonist Wallace Noe and his wife, Hannah, are card-carrying members of the sandwich generation: squeezed between raising children and looking after an elderly parent, struggling to make ends meet and to keep their marriage together. When a family tragedy forces Wallace to reevaluate his life, he stakes his future on a start-up company and the values and work ethics of his father’s generation, never imagining the sequence of events that will shatter his comfortable world. With sharp humor and masterly insight, author Eric Peterson dishes up a rollicking account of California’s modern-day gold rush the heady times of the high-tech boom, when stories of mind-boggling riches are commonplace and everyone wants a bigger piece of the pie. The inspiring story of a 4300km solo hike from Mexico to Canada along the Pacific Crest Trail. Despite never having hiked before, George Spearing decides to take ‘leave of absence’ from his job as a firefighter in the New Zealand Fire Service and walk the length of America. Travelling entirely on foot and off road, George’s five month journey takes him through the desert areas and High Sierra Nevada of California, the Cascade ranges of Oregon and Washington, and finally emerges in the Okanogan Forest of British Columbia, Canada. The diverse mix of dry Mojave desert, High Sierra snows and the characters and wildlife met along the way, provide an often humorous look at the US and its wilderness through the eyes of a New Zealander. The lively and easily read style, including illustrations, will appeal to both adventurer and armchair adventurer alike. Follow the adventure from its inception on an Auckland, New Zealand Fire Station, to its culmination in British Columbia, Canada. Traversing 40 Wilderness areas, 24 National Forests, 7 National Parks, 3 State Parks, 19 major canyons and climbing 57 mountain passes, the epic journey takes the reader from near sea level at the Mexican border to 13,200 ft at Forester Pass in the snowbound High Sierra. 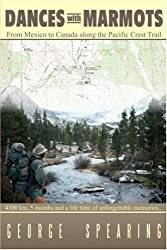 An entertaining and inspiring read for anyone contemplating hiking the Pacific Crest Trail, or for anyone who just enjoys a good adventure story. Any email address that is not valid will not be accepted. Any email to a temporary mailbox service (e.g. mailinator.com) will be disqualified and may be publicly mocked. Unless otherwise stated, only one book can be won by any single email address. Multiple entries for a single book will not be accepted (you can enter to win each book if different books are offered in a given month). The winner will be randomly drawn no later than the 3rd of the following month and contacted via email to receive shipping information. Winners who fail to respond to the email within 72 hours will forfeit their win to another random winner. This entry was posted in Authors and tagged giveaway on August 1, 2011 by Mario Lurig. These two books sound great. Dances with Marmots: From Mexico to Canada along the Pacific Crest Trail has special meaning to me living in BC, and also supporting the protection and recovery of the Vancouver Island Marmots. (My daughter got me involved, I believe it was headed up by a friend of hers.) I recall when my family and my brother did the Vancouver Island portion of the Trail. I wasn’t able to join them having just had surgery. At the end of the section, my son had literally walked right out of his shoes, my husband tried making Kraft dinner for the first time and put everything including the cheese in the pot of water! They got back a day earlier than expected and arrived in the late evening. I opened the door to their knock and closed it again, right in my son’s face. I didn’t recognize him! They got a ride back in the back of a pick-up truck over dirt roads to where another of my brothers was going to meet them. This was about 30 years ago. The books sound wonderful! The Pacific Crest Trail is beautiful, at least the part I know about.